Time to dust off the flannel graph, test the cassette deck and warm up the filmstrip projector as another season of ministry kicks off. As for that book cover on the right, there’s no link because…well…someone might actually click through and buy one. …and then, it came to pass that ChristianMingle.com begat Christian Mingle: The Movie, releasing in October. The children of Saeed Abedini, a U.S. pastor imprisoned in Iran, appeal to President Obama to intervene. Eight charts, 24 questions, and lots to think about in this look at how changing culture impacts the church. Your church has a website, it’s on Facebook, and on Twitter. Surely that covers all the social media bases, right? Pastor Problems: When your church has all the wrong people. The Blaze profiles Matt Chandler. You can also read today’s links at Leadership Journal by clicking this image. “Pope Expels All Muslims from Rome” was the mock headline on this provocative blog post. Christian authors are getting dragged into the politics of Amazon’s conflict with a major publisher over ebook pricing. The persecution of Christianity by ISIS is a living nightmare. At times we just want to look away. 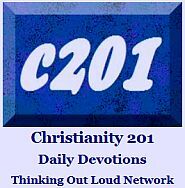 …and this week I discovered another website devoted to persecution of Christians. Revisiting the late Michael Spencer (aka Internet Monk) writing about The Coming Evangelical Collapse. The modern equivalent of Baal worship may be taking place in an arena in your city, or even in your living room. Were there unforeseen consequences of running children’s ministry concurrent with adult services? When the deceased would identify as one of the “nones,” what does a Christian bring to the funeral? Like a snowball rolling down a hill, a several-months-old article by Michael Gungor about certain parts of Genesis has gained momentum online. Last week he responded. So what’s your true denominational bent? I took a few of these online belief surveys, and no I’m not going to say. Peter Enns’ new book is titled, The Bible Tells Me So: Why Defending Scripture Has Made Us Unable to Read It. Test-drive a good-sized excerpt for a limited time. “More than 3,500 Spurgeon sermons have been published, but none from his early ministry.” B&H aims to rectify this with 400 early ones in a multi-volume set. The issue of whether or not you can be gay and Christian is following a parallel track in the American Muslim community. Social media can bring necessary attention to the mis-steps of key Christian personalities, but it’s wrong for the writers themselves to demand contrition. 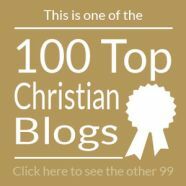 Matthew Paul Turner nails his 38 theses on the future of the church to the front door of his blog. Even though certain forms of sexual abuse aren’t considered the most extreme, they are still abuse. 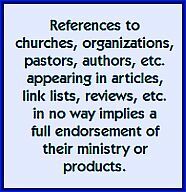 Amen Analysis: Tim Challies’ seven ways to ruin a prayer meeting including what he calls prayer tics. Outline of the Week: A long, but thorough look at why God allows disasters and calamities. Part One. Part Two. Robert A. Schuller with a health update on Robert H. Schuller. Building program on steroids: A $300 million replica of the original Temple of Solomon in Sao Paulo, Brazil. It’s not a tell-all, but it’s interesting reading a book by the son of a famous, almost iconic, megachurch pastor father, especially when you know who that father is. From the same family (literally) that brought you Love and Respect comes The Illumination Project, a six-week DVD curriculum for young adults ages 18-35. Known as “The Friendly Atheist,” Hemant Mehta is recalling God is an Abusive Boyfriend (and Why You Should Break Up) citing broad backlash from people, including atheists, who’ve experienced abuse. Growing up with their music, I had to include this link on finding the seed of the gospel in the music of classic rockers, The Guess Who. Does the U.S. Internal Revenue Service unfairly target churches? I guess I’m too late for the “Praying in Public” 15% discount at Mary’s Gourmet Diner. First there was the Coexist icon featuring multi-faith symbols. Next there was the Christian apologetic response, Contradict. The latter is now a book. Redeeming the cable series Black Jesus. Once this Phoenix, Arizona Mormon Temple is dedicated, the free tours will end. …and as the broader society redefines marriage, so do dictionary editors. Although this short blog post references a specific denomination, it’s clear that all of us can fall into the trap of making our distinctives the main thing. Why every group you belong to needs a class clown. Now all you need to rebuke the devil is a free smartphone app. Paul Wilkinson blogs at Thinking Out Loud and edits Christianity 201, the latter of which is always looking for submissions.